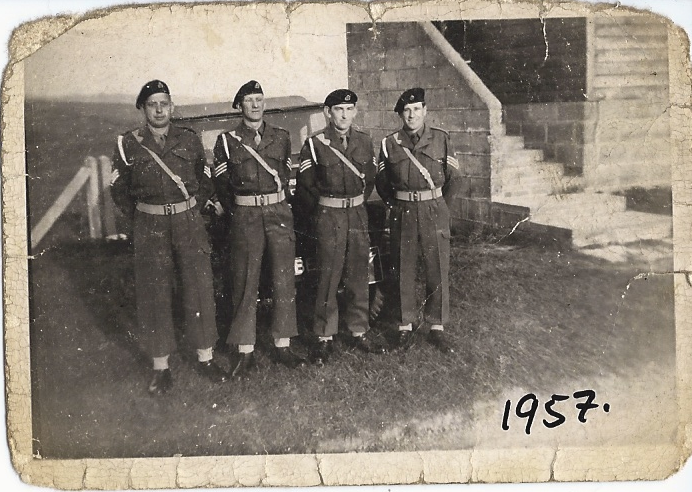 In the second of our series of personal accounts of former members of the Suffolk and Norfolk Yeomanry thanks go to Kelly who got in touch on behalf of her grandfather, Derek Bowman who served between 1952 and 1987. Many of our members from the era may have known him by his nickname “Flaps” Bowman. 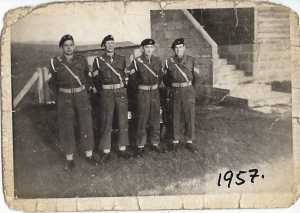 Derek joined at Swaffham in 1952 after being drafted out of National service and served 35 years in all. Initially he served with the Norfolk Yeomanry L.A.A, which had Drill Halls at Swaffham, Downham Market, King’s Lynn and Dersingham. 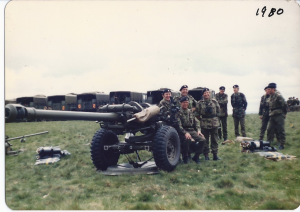 He recalls when the Regiment re-organised to 5.5″ medium gun, subsequently re-organised to the light gun with headquarters at Bury St Edmunds and then to the FH70 and recalls annual camps across the UK and in Germany. 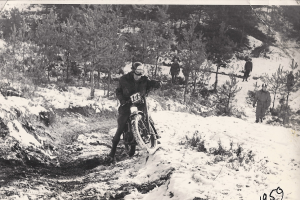 His biggest achievement was in 1960, he was at Kimwell park in Rhyl. 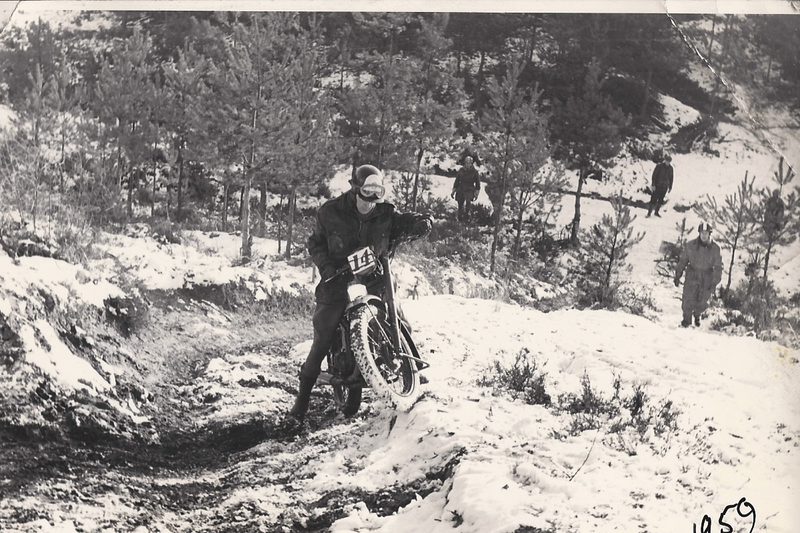 He was the motorcycle trials champion. 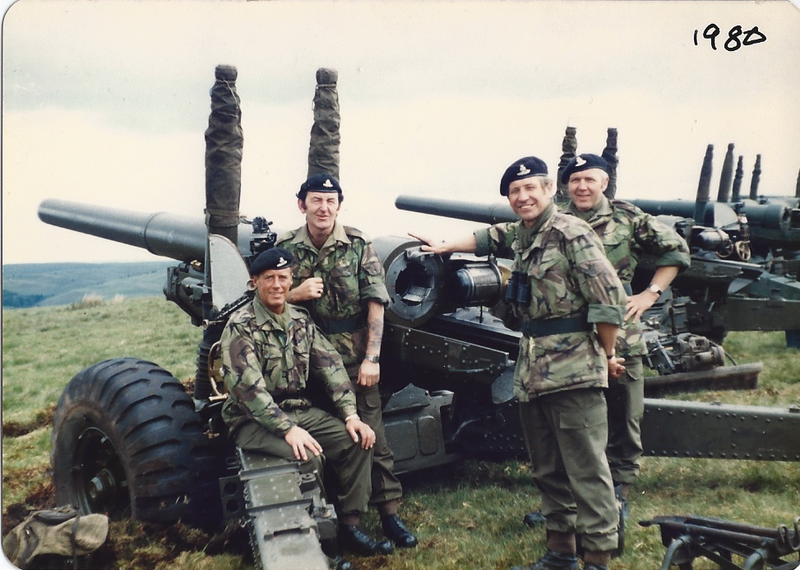 He also went to the mansion house in London, as the Battery won the gunnery competition in 1970. 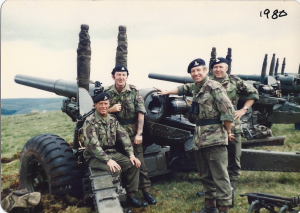 The Battery Commander at that time was Major Makin and the Battery Sergeant Major was BSM Jacobs. Many thanks to Kelly and to her Grandad Derek for sharing his memories with us.